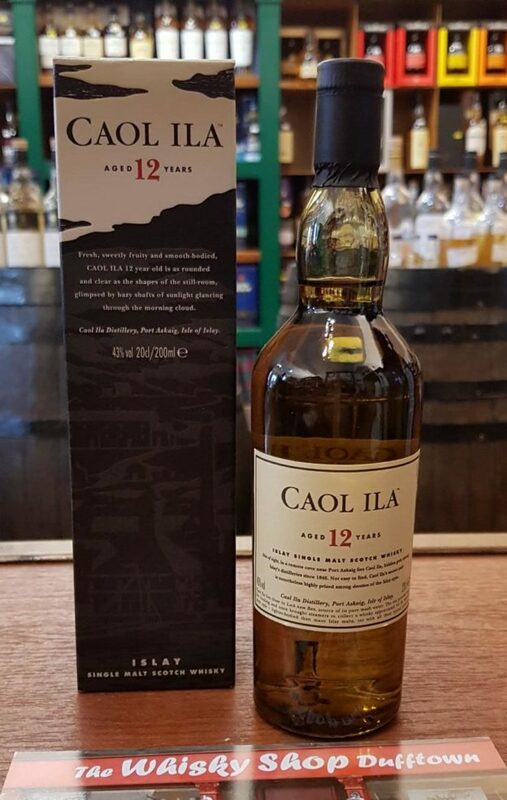 Caol Ila – The smoothness & fine balance of Caol Ila 12 years old suggests the rounded shape of the stills, softly outlined in a cloudy day’s 1st glimpse of the sun. Distillery: Subdued, citric fruitiness; a whiff of bath oil and dentist's mouthwash. A fresh and appetising nose, with little or no trace of smoke. A little water raises almond oil and old-fashioned oilskins; still a fresh fruitiness (lychees? ), a trace of olive oil, and after a while pot pourri or scented hand-soap. 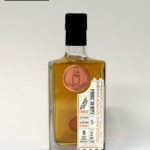 Distillery: Drinks well at natural strength; sweet start; pleasant, light fragrant smokiness and a lengthy finish. Smooth, pleasant mouth-feel; with water light acidity, some salt and still the sweeter notes. A complex balance of primary tastes. Distillery: Sweet smokiness in the lingering, slightly sour finish. 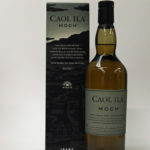 Caol Ila - Soft as the light of day, Caol Ila Moch opens on the palate to reveal all the life and fresh-faced new hope of a spring day, clearly reflecting the character of Caol Ila first seen in 1846. Here are scrubbed-clean aromas and smoky-dry notes of peat followed through on the palate by sweet, then salty, clarity and simplicity in what is a smooth, fresh expression of the classic "bonfire on the beach" taste of Caol Ila.